Quality is a relative term. It means customer needs is to be satisfied. It is the prior requirements for buyer. Inspection in reference to the apparel industry can be defined as the visual examination or review of raw materials (like fabric, sewing threads, buttons, trims, etc). 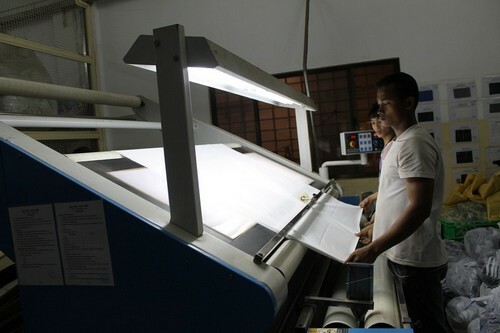 There are various method to inspect quality of garments. They are 4 point system, 10 point system, Graniteville “78″ system, Dallas system etc. Among them 4 Point system for fabric inspection is widely used in apparel industry for fabric quality inspection.